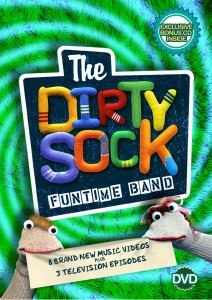 The Dirty Sock Funtime Band DVD and CD is great enjoyment for children of all ages~!! 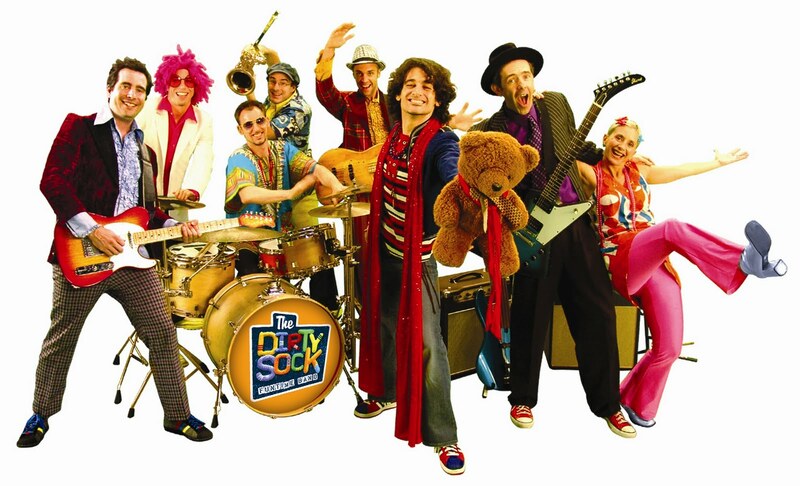 Beloved by millions of families for their high-energy music videos on the Nick Jr. channel's "Jack's Big Music Show", The Dirty Sock Funtime Band's Sock-A-Delic CD and The Dirty Sock Funtime Band DVD showcase the band’s “We show kids that they rock” spirit. Help us name our song~! We need your help naming our new song. Vote for your favorite title on our Facebook Wall. See if they are playing at a venue near you~!! We just loved this DVD/CD combo~!! My kids loved the upbeat and happening sounds that pumped out of both the CD and the DVD~! I really enjoyed watching them act out all the dances and mimic The Socks as they sang each song with energy and gusto~!! My six year old son, who seldom dances, was even trying to upstage his sister, who in just moments, was aptly able to sing and dance to Donut Brain Aliens, which was their absolute favourite! 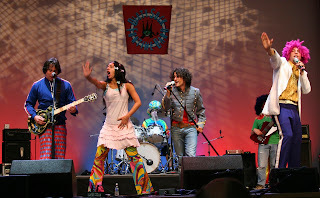 Even the dude and I were singing and dancing along with them! They equally enjoyed the song Treasure, No Good Reason To Party and the Sock Funtime Band theme song. Each one was a new pleasure for them to hear and they played the DVD over and over again. At first they were asking if they thought if it was bad, were they allowed to say that. The DVD started out a bit weird for them, there was a man dressed up as a woman that totally threw their little minds off, after explaining to them they could be as honest as they wished, I got a little nervous, thinking I was going to have to write up something negative, however, it wasn't to be, they absolutely fell in love with the whole Sock gang and were rockin'n'boppin' in no time~!! This is a very clean, wholesome and fun band to listen to. 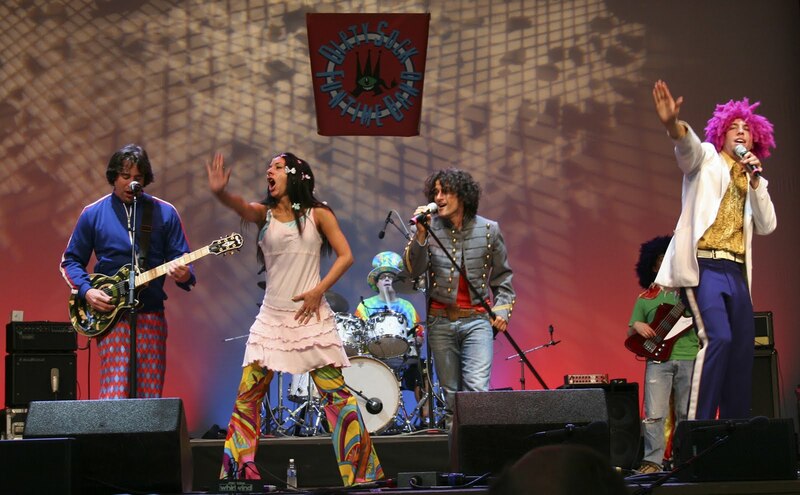 Your wee folks will absolutely adore their honest and infectious approach to music and leave everyone singing and dancing. 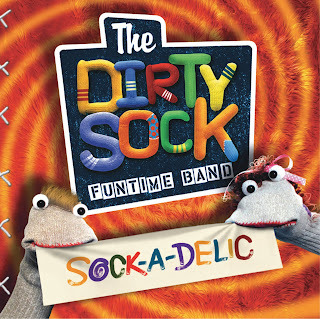 Their fun ability to turn frowns into smiles is a remarkable ability and I would recommend this for anyone with youngsters seven and under!